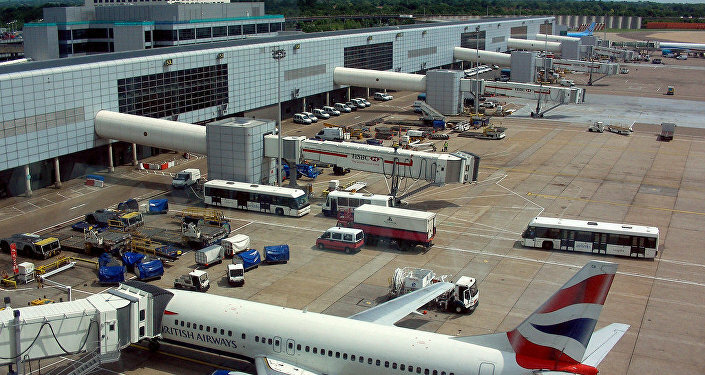 LONDON (Sputnik) - The incident involving drones flying over London Gatwick Airport, which prompted the suspension of flights there, is not related to terrorism, the Sussex Police said. "Our assessment, based upon the information that we have available to us, is that this incident is not terrorism-related," Detective Chief Superintendent Jason Tingley said in a statement. 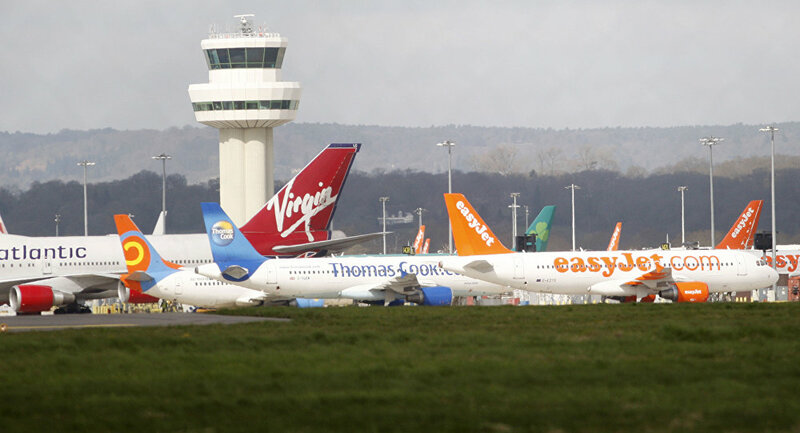 Tingley added the police were working closely with the Gatwick Airport Limited and the Civil Aviation Authority and were maintaining dialogue on the incident with the government and other agencies in order to resolve the situation as swiftly as possible. "In addition to the searches that are taking place on and around the airfield, we are deploying a number of tactical options to detect and counter these drone activities and bring this to a safe conclusion. Extra officers have been brought in to support the operation," Tingley pointed out. The airport has suspended all the flights late on Wednesday amid reports that two drones were flying over its runway. The Sussex Police said on Thursday that it considered the recent flying of drones over London Gatwick Airport's runway as a "deliberate act."